Mattick traces the life of Anton Pannekoek, and the development of his thought. Anton Pannekoek's life span coincided with what was almost the whole history of the modern labour movement; he experienced its rise as a movement of social protest, its trans formation into a movement of social reform, and its eclipse as an independent class movement in the contemporary world. But Pannekoek also experienced its revolutionary potentialities in the spontaneous upheavals which, from time to time, interrupted the even flow of social evolution. He entered the labour movement a Marxist and he died a Marxist, still convined that if there is a future, it will be a socialist future. As have many prominent Dutch socialists, Pannekoek came from the middle class and his interest in socialism, as he once remarked, was due to a scientific bent strong enough to embrace both society and nature. To him, Marxism was the extension of science to social problems, and the humanisation of society. His great interest in social science was entirely compatible with his interest in natural science; he became not only one of the leading theoreticians of the radical labour movement but also an astronomer and mathematician of world renown. This unifying attitude regarding natural and social science and philosophy determined the character of most of Panne koek's work. One of his earliest publications, Marxism and Darwinism, elucidates the relationship between the two theories; one of his last, Anthropogenesis, deals with the origin of man. "The scientific importance of Marxism as well as of Darwinism," he wrote, "consists in their following out the theory of evolution, the one upon the domain of the organic world, the other upon the domain of society." What was so important in Darwin's work was the recognition that "under certain circumstances some animal-kinds will necessarily develop into other animal-kinds." There was a "mechanism," a "natural law," which explained the evolut ionary process. That Darwin identified this "natural law" with a struggle for existence analogous to capitalist compet ition did not affect his theory, nor did capitalist competition become therewith a "natural law." It was Marx who formulated the propelling force for social development. "Historical materialism" referred to society; and though the world consists of both nature and society-as expressed in the need for man to eat in order to live-the laws of social development are not "laws of nature". And, of course, all "laws," whether of nature or society, are not absolute. But they are reliable enough, as verified by exper ience, to be considered "absolute" for purposes of human practise. At any rate, they deny sheer arbitrariness and free choice and relate to observed rules and regularities which allow for expectations that form the rationale for human activities. With Marx Pannekoek held that it is "the production of the material necessities of life which forms the main structure of society and determines the political relations and social struggles." It is by way of class struggle that decisive social changes have been brought about and these changes have led from a less to a more productive level of social production. Socialism, too, implies the further development of the social forces of production, which are now hampered by the prevailing class relations. And this can only be done by a labouring population able to base its expectations on the emergence of a classless society. In known history, stages of human and social existence are recognisable through changing tools and forms of production that alter the productivity of social labour. The "origin" of this process is lost in pre-history, but it is reasonable to assume that it is to be found in man's struggle for existence in a natural setting which enabled and forced him to develop a capacity for work and social organisation. Since Friedrich Engels wrote The Role of Labour in the Transformation of Ape into Man, a whole literature has been built around the question of tools and human evolution. In Anthropogenesis, Pannekoek returned to problems raised in his early Marxism and Darwinism. Just as there are "mechanisms" that account for social development and natural evolution, so there must be a "mechanism" that expels the rise of man in the animal world. Society, mutual aid, and even the use of "tools" are characteristic of other species besides man; what is specific to man is language, reason, and the making of tools. It is the last, the making of tools, which in all probability accounts for the simultaneous development of language and thought. Because the use of tools interposes itself between an organism and the outer world, between stimulus and action, it compels action, and hence thinking, to make a detour, from sense impressions by way of the tool, to the object. Speech would be impossible without human thinking. The human mind has the capacity for abstract thought, of thinking in concepts. While mental life for both man and animal starts from sensations, which combine into images, the human mind differentiates between perceptions and actions by way of thought, just as the tool intervenes between man and that which he seeks to attain. The break between perceptions and actions, and the retention of past perceptions, allows for consciousness and thought, which establishes the inter connections of perceptions and formulates theories applicable to practical actions. Natural science is a living proof of the close connection that exists between tools and thinking. Because the tool is a seperate and dead object which can be replaced when damaged, can be changed for a better one and differentiated into a multiplicity of forms for various uses, it assured man's extraodinary and rapid development; its use, in turn, assured the development of his brain. Labour, then, is the making and the "essence" of man, however much the worker may be despised and alienated. Work and the making of tools lifted man out of the animal world to the plane of social actions in order to cope with life's necessities. The change from animal to man must have been a very long process. But the change from primitive to modern man is relatively short. What distinguishes primitive from modern man is not a different brain capacity but a difference in the uses of this capacity. Where social production stagnates, society stagnates; where the productivity of labour develops slowly, social change is also tardy. In modern society social production developed rapidly, creating new and destroying old class relationships. Not the natural struggle for existence but the social struggle for one or another concept of social organisation has determined social development. From its very beginning, socialism has been both theory and practise. It is thus not restricted to those who are thought to benefit by the transformation from capitalism to socialism. Being concerned with the classless society and the ending of social strife, and by attracting intelligent men from all layers of society, socialism demonstrated its possible realisation in advance. Already as a young student of the natural sciences, specialising in astronomy, Pannekoek entered the Sociaal Demokratische Arbeiterspartij (S.D.A.P) and found himself, at once, in its left wing, on the side of Herman Gorter and Henriette Roland-Holst. This party had been preceeded by the Sociaal-Demokrat ische Bond (S.D.P) which under the influence of Dometa Nieuwenhuis dissociated itself from the Second International. Anti-militarism was its foremost concern and Nieuwenhuis advocated the use of the General Strike for the prevention of war. He could not get a majority for his proposals and he detected, quite early, the trend towards class collaboration within the International. He opposed the exclusion of the Anarchists from the International and his experiences as a member of Parliament led him to reject parliamentarism as a weapon of social emancipation. The "anarchist-syndicalist" tendencies, represented by Nieuwenhuis, split the organisation, and the new socialist party, more akin to the" model" German Social-Democracy, came into being. However, the radical ideology of the old party entered the traditions of the Dutch socialist movement. This traditional radicalism found expression in the new party's monthly, De Nieuwe Tijd, particularly in the contrib utions of Gorter and Pannekoek who fought the growing opportunism of the party leaders. In 1909 the left wing group around Gorter was expelled and established a new organisation, the Sozial-Demokratische Partij. Pannekoek had meanwhile gone to Germany. He lectured in the party schools of the German Sozial-Demokratische Partei, wrote for its theoretical publications and for various other papers, especially the Bremer Burgerzeitung. He associated himself with Gorter's new organisation which, years later, under the leadership of van Revesteyn, Wijnkoop, and Ceton became the Moscow oriented Communist Partij. Though in the tradition of the "libertarian socialism" of Nieuwenhuis, Pannekoek's opposition to reformism and social-democratic "revisionism" was a Marxist opposition to the "official Marxism" in both its "orthodox" and "revisionist" forms. In its "orthodox" form, Marxism served as an ideology that covered up a non-Marxian theory and practise. But Pannekoek's defence of Marxism Was not that of the doctrinaire; more than anyone else he recognised that Marxism is not a dogma but a method of thinking about social issues in the actual process of social transformation. Not only were certain aspects of Marxist theory superceded by the development of Marxism itself, but some of its theses, brought forth under definite conditions, would lose their validity when conditions changed. The First World War brought Pannekoek back to Holland. Prior to the war, together with Radek, Paul Frohlich and Johann Knief, he had been active in Bremen. The Bremen group of left-radicals, the International Communists, later amalgamated with the Spartakus Bund, thus laying the foun dation for the Communist Party of Germany. Anti-war groups in Germany found their leaders in Karl Liebknecht, Rosa Luxemburg and Franz Mehring; anti-war sentiment in Holland centred around Herman Gorter, Anton Pannekoek, and Henrietta Roland-Holst. In Zimmerwald and Kienthal these groups joined Lenin and his followers in condemning the imperialist war and advocating proletarian actions for either peace or revolution. The Russian Revolution of 1917, hailed as a possible beginning of a world-revolutionary movement, was supported by both Dutch and German radicals despite previous basic differences between them and the Leninists. While still in prison, Rosa Luxemburg expressed misgivings about the authoritarian tendencies of bolshevism. She feared for the socialist content of the Russian Revolution unless it should find a rectifying support in a proletarian revolution in the West. Her position of critical support towards the bolshevik regime was shared by Gorter and Pannekoek. They worked nevertheless in the new Communist Party and towards the establishment of a new International. In their views, however, this International was to be new not only in name but also in outlook, and with regard to both the socialist goal and the way to reach it. The social-democratic concept of socialism is state socialism, to be won by way of democratic-parliamentary procedures. Universal suffrage and trade unionism were the instruments to accomplish a peaceful transition from capital ism to socialism. Lenin and the bolsheviks did not believe in a peaceful transformation and advocated the revolutionary overthrow of capitalism. But their concept of socialism was still that of social-democracy, and instrumentalities to this end still included parliamentarism and trade unionism. However, Czarism was not overthrown by democratic processes and trade union activities. The Organisation of the Revolution was that of spontaneously-evolving soviets, of workers' and soldiers' councils, which soon gave way, however, to the bolshevik dictatorship. Just as Lenin was ready to make use of the soviet movement, so was he ready to utilise any other form of activity, including parlia mentarism and trade unionism, to gain his end-dictatorial power for his party camouflaged as the "dictatorship of the proletariat," Having reached his goal in Russia, he tried to consolidate his regime witn the help of revolutionary move ments in Western Europe and, should this fail, by trying to gain sufficient influence in the Western labour movement to secure at least its indirect support. Because of the immediate needs of the bolshevik regime, as well as the political ideas of its leaders, the Communist International was not the begin ning of a new labour movement but merely an attempt to gain control of the old movement and use it to secure the bolshevik regime in Russia. The social patriotism of the Western labour organisations and their policy of class collaboration during the war convin ced the revolutionary workers of Western Europe that these organisations could not be used for revolutionary purposes. They had become institutions bound to the capitalist system and had to be destroyed together with capitalism. However unavoidable and necessary for the early development of socialism and the struggle for immediate needs, parliament arism and trade unionism were no longer instruments of class struggle. When they did enter the basic social conflict, it was on the side of capital. For Pannekoek this was not a question of bad leadership, to be solved by a better one, but of changed social conditions wherein parliamentarism and trade unionism played no longer an emancipatory role. The capital ist crisis in the wake of the war posed the question of revolution and the old labour movement could not be turned into a revolutionary force since socialism has no room for trade unions or formal bourgeois democracy. Wherever, during the war, workers fought for immediate demands they had to do so against the trade unions, as in the mass-strikes in Holland, Germany, Austria and Scotland. They organised their activities by way of shop committees, shop stewards or workers' councils, independently of existing trade unions. In every truly revolutionary situation, in Russia in 1905 and again in 1917, as well as in the Germany and Austria of 1918, workers' and soldiers' councils (soviets) arose spontaneously and attempted to organise economic and political life by extending the council system on a national scale. The rule of workers' councils is the dictatorship of the proletariat, for the councils are elected at the point of production, thus leaving unrepresented all social layers not associated with production. In itself, this may not lead to socialism, and, in fact, the German workers' councils voted themselves out of existence by supporting the National Assembly. Yet, proletarian self-determination requires a social organisation which leaves the decision-making power over production and distribution in the hands of the workers. In this council movement, Pannekoek recognised the beginnings of a new revolutionary labour movement which, at the same time, was the beginning of a socialist reorganis ation of society. This movement could arise and maintain itself only in opposition to the old labour movement. Its principles attracted the most niilitant sector of the rebellious proletariat, much to the chagrin of Lenin who could not conceive of a movement not under the control of a party, or the state, and who was busy emasculating the soviets in Russia. But neither could he agree to an international communist movement not under the absolute control of his own party. At first by way of intrigue, and then openly, after 1920, the bolsheviks tried to get the communist movement away from its anti-parliamentary and anti-trade union course, under the pretext that it was necessary not to lose contact with the masses which still adhered to the old organisations. Lenin's "Left-Wing" Communism : An Infantile Disorder was directed first of all against Gorter and Pannekoek, the spokesmen of the communist council movement. The Heidelberg Convention in 1919 split the German Communist Party into a Leninist minority and a majority adhering to the the principles of anti-parliamentarism and anti-trade unionism on which the party had originally been based. But there was now a new dividing question, namely, that of party or class dictatorship. The non-Leninist communists adopted the name, Communist Workers Party of Germany (K.A.P.D), and a similar organisation was later founded in Holland. Party communists opposed council communists and Pannekoek sided with the latter. The council communists attended the Second Congress of the Third International in the capacity of sympathisers. The conditions of admission to the International-complete subordination of the various national organisations to the will of the Russian Party-divorced the new council move ment from the Communist International altogether. The activities of the Communist International against the "ultra left" were the first direct Russian interventions in the life of communist organisations in other countries. The patt ern of control never changed and subordinated, eventually, the whole world communist movement to the specific needs of Russia and the bolshevik state. Although the Russian dominated movement, as Pannekoek and Gorter had predicted, never "captured" the Western trade unions, nor dominated the old socialist organisations by divorcing their followers from their leaders, they did destroy the independence and radical character of the emerging new communist labour movement. With the enormous prestige of a successful political revolution on their side, and with the failure of the German revolution, they could not fail to win a large majori ty in the communist movement to the principles of Leninism. The ideas and the movement of council communism declined steadily and practically disappeared altogether in the fascist reign of terror and the Second World War. While Lenin's fight against the "ultra left" was the first indication of the "counter revolutionary" tendencies of bolshevism, Pannekoek's and Gorter's struggle against the Leninist corruption of the new labour movement was the beginning of anti-bolshevism from a proletarian point of view. And this, of course, is the only consistent anti-bolshevism there is. Bourgeois "anti-bolshevism" is the current ideology of imperialist capital competition, which waxes and wanes according to changing national power relations. The Weimar Republic, for instance, fought bolshevism on the one hand and on the other made secret deals with the Red Army and open business deals with bolshevism in order to bolster its own political and economic position within the world competitive process. There was the Hitler-Stalin pact and the invasion of Russia. The Western allies of yesterday are the cold-war enemies of today, to mention only the most obvi ous of "inconsistencies" which, in fact, are the "politics" of capitalism, determined as they are, by nothing but the profit and power principles. In retrospect it is easy to see that the differences between Pannekosk and Lenin could not be resolved by way of argu ment. In 1920, however, it was still possible to hope that the Western working class would take an independent course not towards a modified capitalism but towards its abolition. Answering Lenin's "Left-wing" Communism: An Infantile Disorder, Gorter still tried to convince the bolsheviks of the " errors" of their ways, by pointing to the differences in socio economic conditions between Russia and the West, and to the fact that the "tactics" which brought bolshevism to power in Russia could not possibly apply to a proletarian revolution in the West. The further development of bolshevism revealed, that the "bourgeois" elements in Leninism were due not to a "faulty theory," but had their source in the character of the Russian Revolution itself, which had been conceived and was carried out as a state capitalist revolution sustained by a pseudo-Marxian ideology. In numerous articles in anti-bolshevik communist journals, and until the end of his life, Pannekoek elucidated upon the character of bolshevism and the Russian Revolution. Just as he did in his earlier criticism of Social Democracy, so here, too, he did not accuse the bolsheviks of a "betrayal" of working-class principles. He pointed out that the Russian Revolution, though an important episode in the development of the working-class movement, aspired only to a system of production which could be Called state socialism, or state capitalism, which are one and the same thing. It did not betray its own goal any more than trade unions "betray" trade unionism. Just as there cannot be any other type of trade unionism than the existing one, so one cannot expect state capitalism to be something other than itself. The Russian Revolution, however, had been fought under the banner of Marxism, and the bolshevik state is almost generally considered a Marxist regime. Marxism, and soon Marxism-Leninism-Stalinism, remained the ideology of Russian state capitalism. To show what the "Marxism" of Leninism really implied, Pannekoek undertook a critical examination of its philosophical basis, published under the title Lenin as Philosopher, in 1938. Lenin's philosophical ideas appeared in his work Material ism and Empiriocriticism, in Russian in 1908 and in German and English translations in 1927. Around 1904 certain Russian socialists, Bogdanov in particular, had taken an interest in modem Western natural philosophy, especially in the ideas of Ernst Mach, and tried to combine these with Marxism. They gained some influence within the Russian socialist party and Lenin set out to destroy this influence by attacking its apparent philosophical source. Though not in a philosophical sense, Marx had called his system of thought materialism. It referred to the material base of all social existence and change and grew out of his rejection of both the philosophical materialism of Feuerbach and the philosophical idealism of Hegel. For bourgeois materialism, nature was objectively given reality and man was determined by natural laws. This direct confrontation of individual man and external nature, and the inability to see society and social labour as an indivisible aspect of the whole of reality, distinguished middle-class materialism from Historical Materialism. Early bourgeois materialism, or natural philosophy, had held that through sense experience and the intellectual activity derived therefrom, it would be possible to gain absolute, valid knowledge of physical reality-thought to be made up of matter. In an attempt to carry the materialist representation of the objective world to the process of know ledge itself, Mach and the positivists denied the objective reality of matter, since physical concepts must be construct ed from sense experience and thus retain their subjectivity. This disturbed Lenin greatly, because for him, knowledge was only what reflects objective truth, truth, that is, about matter, In Mach's influence in socialist circles, he saw a corruption of Marxian rnaterialisrn. The subjective element in Mach's theory of knowledge became, in Lenin's mind, an idealist aberration and a deliberate attempt to revive religious obscurantism. It was true, of course, that the critical progress of science found idealistic interpreters who would give comfort to the religionists. Some Marxists began to defend the materialism of the once revolutionary bourgeoisie against the new ideal ism-and the new science as weu-of the established capitalist class. To Lenin this seemed particularly important as the Russian revolutionary movement, still on the verge of the bourgeois revolution, waged its ideological struggle to a large extent with the scientific and philosophical arguments of the early Western bourgeoisie. By confronting Lenin's attack on "Empiriocriticism" with its real scientific content, Pannekoek not only revealed Lenin's biased and distorted exposition of the ideas of Mach and Avenarius, but also his inability to criticise their work from a Marxian point of view. Lenin attacked Mach not from the point of view of historical materialism, but from that of an earlier and scientifically less developed bourgeois materialism. In this use of middle-class materialism in defence of "Marxism" Pannekoek saw an additional indication of the half-bourgeois, half-proletarian character of bolshevism and of the Russian Revolution itself. It went together with the state capitalist concept of "social ism", with the authoritarian attitudes towards spontaneity and Organisation, with the out-dated and unrealisable principle of national self-determination, and with Lenin's conviction that only the middle-class intelligentsia is able to develop a revolutionary consciousness and is thus destined to lead the masses. The combination of bourgeois materialism and revolutionary Marxism which characterised Lenin's philosophy reappeared with the victorious bolshevism as the combination of neo-capitalist practise and socialist ideology. However the Russian Revolution was a progressive event of enormous significance comparable to the French Revolution. It also revealed that a capitalist system of production is not restricted to the private property relations which dominated its laissez-faire period. With the subsiding feeble wave of revolutionary activities in the wake of the First World War, capitalism re-established itself, despite the prevailing crisis conditions, by way of increasing state interventions in its economy. In the weaker capitalist nations this took the form of fascism and led to the intensification of imperialist policies which, finally, led to the Second World War. Even more than the First, the Second World War showed clearly that the existing labour movement was no longer a class movement but part and parcel of contemporary capitalism. 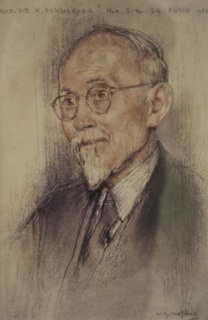 In Occupied Holland, during the Second World War, Pannekoek began his work on Workers' Councils, which he completed in 1947. It was a summing-up of his life experience with the theory and practise of the international labour movement and the development and transformation of capitalism in various nations and as a whole. This history of capitalism, and of the struggle against capitalism, ends with the triumph of a revived, though changed, capitalism after the Second World War, and with the utter subjugation of working-class interests to the competitive needs of the two rival capitalist systems preparing for a new world war. While in the West, the still existing labour organisations aspire, at best, to no more than the replacement of monopoly by state-capitalism, the so-called communist world movement hopes for a world revolution after the model of the Russian Revo lution. In either case, socialism is confounded with public ownership where the state is master of production and workers are still subjected to a ruling class. The collapse of the capitalism of old was also the collapse of the old labour movement. What this movement considered to be socialism turns out to be a harsher form of capitalism. But unlike the the ruling class, which adapts itself quickly to changed conditions, the working class, by still adhering to traditional ideas and activities, finds itself in a powerless and apparently hopeless situation. And as economic changes only gradually change ideas, it may still take considerable time before a new labour movement-fitted to the new conditions-will arise. For labour's task is still the same, that is, the abohtion of the capitalist mode of production and the realisation of socialism. And this can be brought about only when the workers organise themselves and society in such a way as to assure a planned social production and distribution determined by the producers themselves. When such a labour movement arises, it will recognise its origins in the ideas of council communism and in those of one of its most consistent proponents-Anton Pannekoek. Published in New Politics (Old Series) 1960. Taken from the Collective Action Notes website.